Copyright 2016 Ponce de Leon, Florida. CLICK HERE for real estate in the Ponce de Leon area. Ponce de Leon is a small town in the Northwest Florida panhandle near the Alabama line. Some folks think the Spanish explorer, Juan Ponce de Leon, may have searched for the Fountain of Youth here. 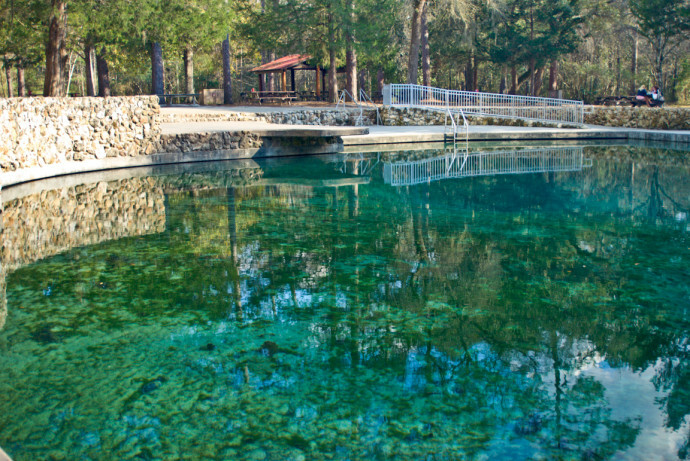 Ponce de Leon Springs, named after Florida's discoverer, produces millions of gallons of 68-degree crystal clear water and is the centerpiece of a 443-acre state park, which features a nature trail and picnic area as well. This rural town is also home to two other natural springs, Vortex and Morrison, which attract scuba and skin divers, swimmers, campers, and other visitors from afar. The fact that Ponce de Leon doesn't have a red light attests to the fact that it is a small, peaceful community, with a population of approximately 2,000. There are several nearby cities and attractions, however. It is located just 40 miles from the Gulf of Mexico with its beautiful, sandy, "World's Most Beautiful Beaches:" Panama City Beach, Destin, and Fort Walton Beach. In addition, Ponce de Leon is halfway between the capital city of Tallahassee on the east, and Pensacola on the west. This is a great place to raise a family or simply retire away from the hustle and bustle of city life. We are blessed with Florida's world-famed wonderful climate. We enjoy all four seasons, with winter usually being mild ( a mean temperature of 44.2 degrees). The summer mean temperature is 81.9 degrees. The average rainfall is 58.4 inches. Outdoor activities can be enjoyed almost every day of the year. The area retains a rustic charm of beauty and tranquility all its own. Here you can enjoy a slower paced living with plenty of elbow room. Ponce de Leon, located off Interstate 10 at exit 96, provides a motel; sandwich shop; three gas stations; and two locally-owned restaurants. Fishing, hunting, golfing, and boating are just a few of the popular pastimes here. The fishing enthusiast will discover an area of great fishing, whether it be salt water or fresh water. Area fishing lakes include Cassidy, Holley, and Juniper. The Choctawhatchee River is a 10-minute drive. And of course, the Gulf offers some of the world's greatest deep sea fishing. Wild game such as deer, duck, and turkey abound in the surrounding wooded hills for the hunting enthusiast. Several golf courses are located nearby. 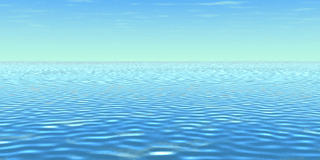 Of course, given our location, there are numerous opportunities for the avid boater. Furthermore, horses are a main source of enjoyment in this area. Roping, team penning, trail rides, and family fun days are popular leisure activities. Other nearby amusements include a Championship Rodeo held in Bonifay (15-minute drive to the east). Florida's oldest library still in operation is located in DeFuniak Springs just 10 miles to the west. Another point of interest is Lake DeFuniak, said to be one of only two perfectly round natural lakes in the world. Folklore has it that the lake was formed by a large meteor crashing to earth centuries ago. The circumference of the lake is 5,280 feet, which makes a pleasant mile. Our major industry is agriculture, which is growing all the time, if you'll excuse the pun. The cattle business, timber (especially pine), and poultry farms are primary resources. Once you visit Ponce de Leon and experience all that it has to offer, you will probably become a return visitor or perhaps a resident. Untouched rural beauty, a slow-paced lifestyle, helpful neighbors, a mild year-round climate, low crime rate, low taxes, and a uniquely central location are just a few of the natural magnets that draws families and industries to the region. Florida is a beautiful state to visit, and Ponce de Leon is a small, tucked-away treasure that you definitely don't want to miss!